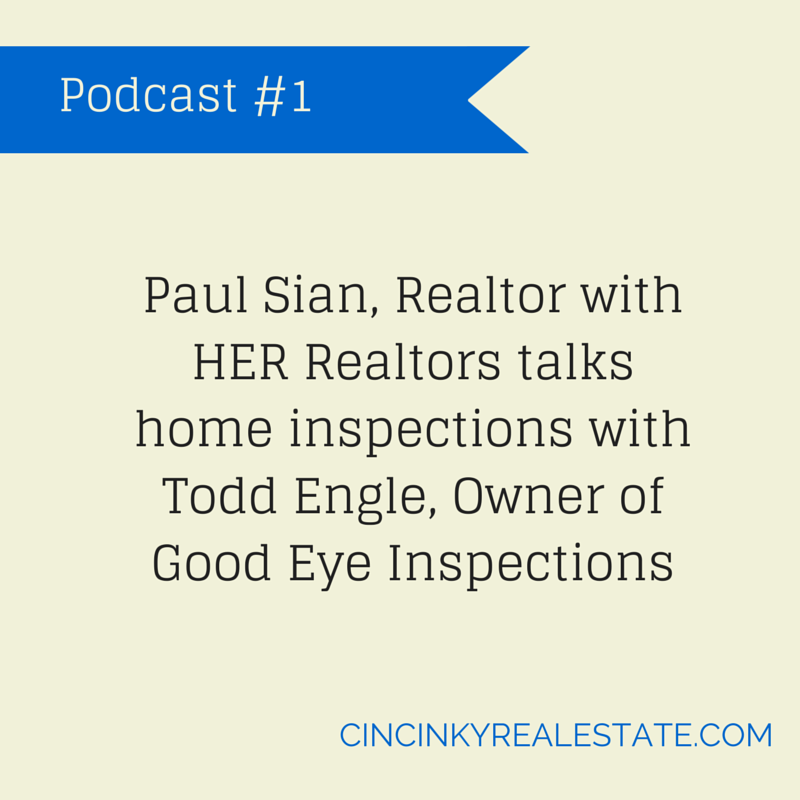 Recently I had the opportunity to sit down with Ohio Home Inspector Todd Engle of Good Eye Inspections and chat with him about the home inspection process. Todd has over 14 years of experience in the real estate industry and obtained his InterNACHI certification to show his commitment to the home inspection field. During my podcast conversation with Todd we discussed a variety of topics including pre-sale home inspections, common problems uncovered during inspection, ways to prepare for a home inspection, new construction inspection and more. I hope you enjoy and find the podcast informative. Please share with those who may also find it useful. Feel free to ask a question via the comments section or to email either Todd or myself. Also if you have any ideas for future podcast topics you would like to learn about let me know! You can follow Todd on Facebook, Twitter, Google+, and Pinterest. So you have gotten to the finish line and prepared your home to sell. 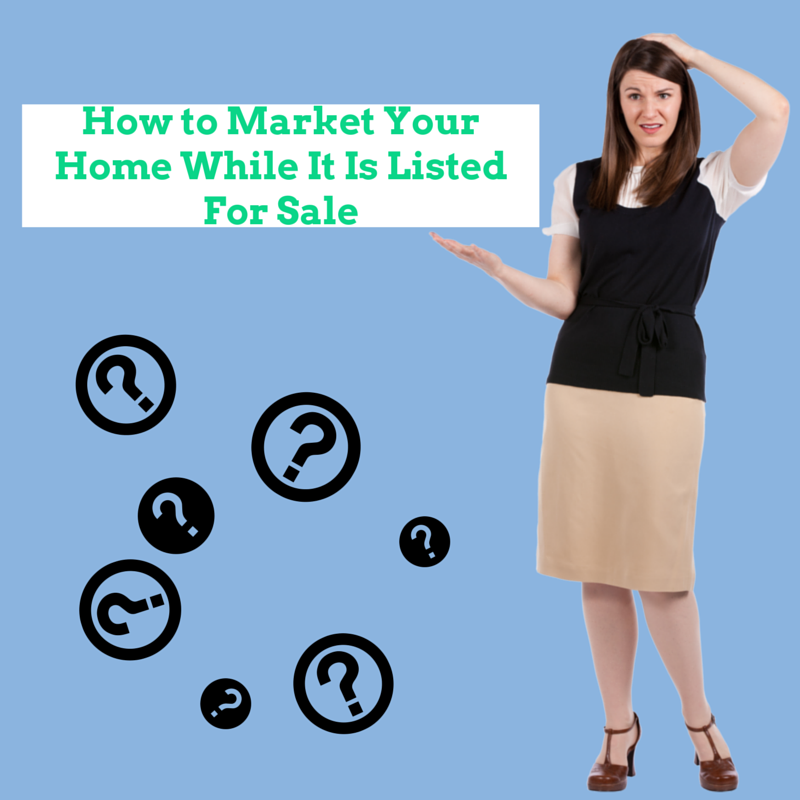 Now that your home is on the market you might be asking how do I continue to market my home while it is listed for sale? Wikipedia defines marketing as: “… communicating the value of a product, service or brand to customers, for the purpose of promoting or selling that product, service, or brand.” In the case of real estate the product you are trying to sell is your home. Yes we as Realtors help you market your home, but unless we live in the particular the home it is impossible for us to control every aspect of the marketing. A knowledgable Realtor will take great photos of your house, use video, create property information brochures and do more to help with marketing. Amongst other things noted below you can help with the marketing of your home by keeping it clean and presentable throughout the time it is being shown to potential buyers. As noted in the definition above marketing is done for the purpose of selling a product, in this case that product is your home. Selling involves both pricing and presentation. Price too high and the chances of it selling become pretty low. If your presentation of your home is lacking because you haven’t polished up your home as best you can the price should either reflect that or your will get no offers based on the lack of great presentation. Want to know what happened during the April 2015 Cincinnati Real Estate Market and Northern Kentucky Real Estate Market sales period? You have come to the right place. 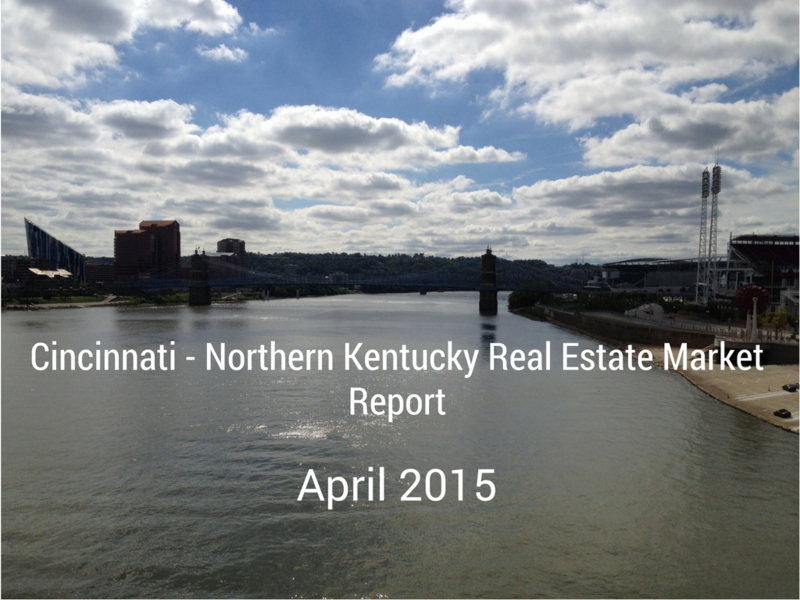 Read on to get the latest statistics and information in the April 2015 Cincinnati-Northern Kentucky Real Estate Report. April 2015 continued the prior months trends of brisk sales. In April there were 869 homes that closed during the month for Hamilton County and 261 homes that closed for Clermont County. Homes that went pending in April were 1139 for Hamilton and 300 for Clermont County. Pending status means they had an offer accepted and were awaiting closing pending inspections, appraisals, financing etc. The average listing price for homes in the Hamilton County area was $238,086.00 with an average selling price of $170,380.00. Hamilton County homes during the April time frame were on the market (Days on Market) for an average of 89 days. There are currently 3,514 homes available for sale in Hamilton County. The average listing price for homes in the Clermont County area was $219,044.00 with an average selling price of $163,171.00. Clermont County homes during the April time frame were on the market (Days on Market) for an average of 78 days. There are currently 845 homes available for sale in Clermont County.